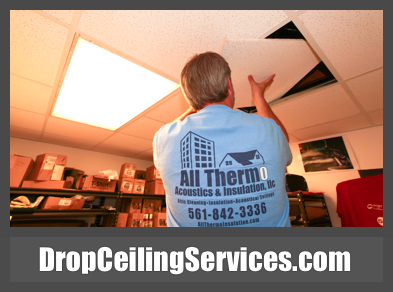 All Thermo Acoustics can provide all of your Drop Ceiling Services. We specialize in design and installation of various types of custom ceilings. 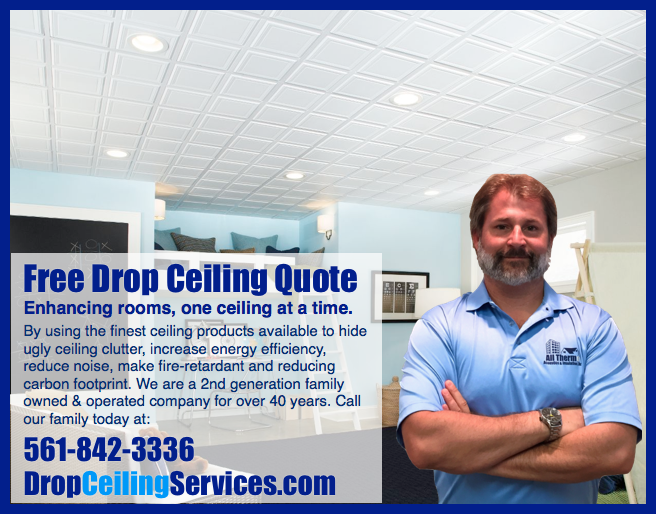 With projects all over Florida, we’ve finished hundreds of drop ceilings throughout the tri-counties. From West Palm Beach, Fort Lauderdale to Miami and even Key West we’ve got you covered. We are an acoustical ceiling contractor located in South Florida. 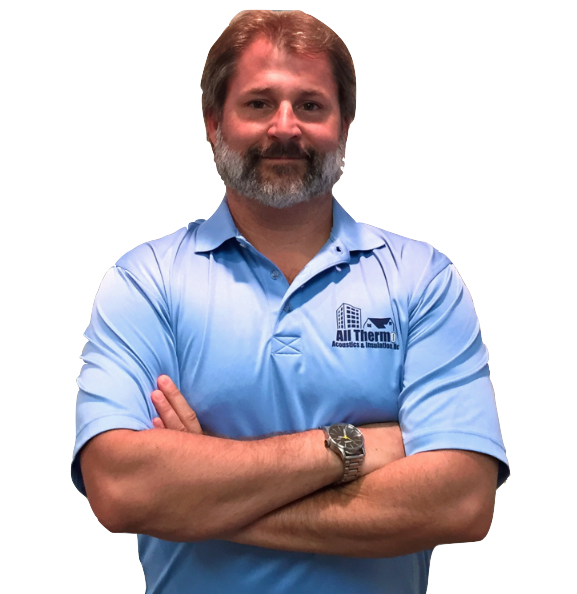 All Thermo Acoustics & Insulation, LLC uses our experience of over 40 years to provide you with unparalleled quality and service. We are adept at all types of suspended acoustical ceilings, from basic drop ceilings to high end integrated ceilings. 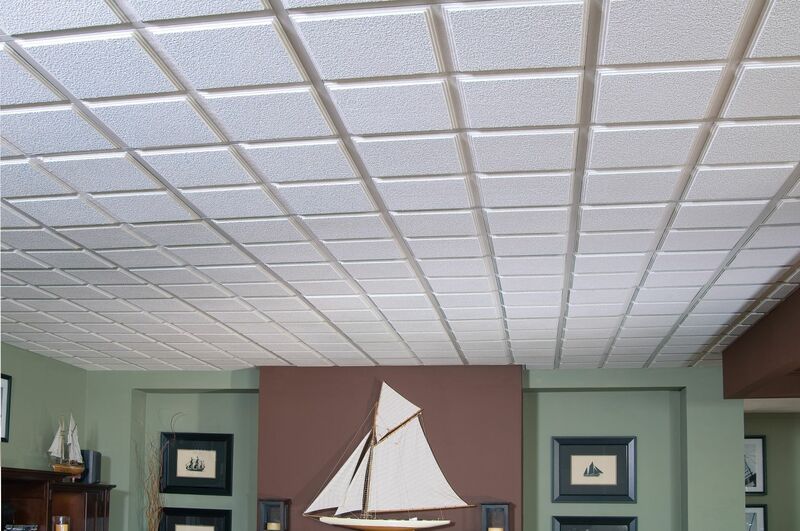 Drop ceilings and acoustical ceilings are versatile and attractive, making them a great choice for any home or business. All Thermo Acoustics & Insulation, LLC offers complete installation, repair, and maintenance, as well as emergency service. 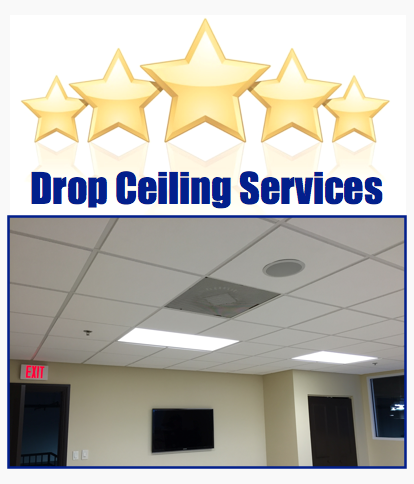 Our Drop Ceiling Services will make your business look clean and professional. Acoustical ceilings hide all mechanical and duct work, while allowing easy access to plumbing, ducts and wiring. Acoustical tiles are highly versatile, and can be designed to meet the needs of your location. A ceiling that is fire retardant and absorbs sound is perfect for residential and commercial location. We can also add insulation on top of our drop ceilings to add extra sound absorption and higher R-value ratings to reduce your energy bill. 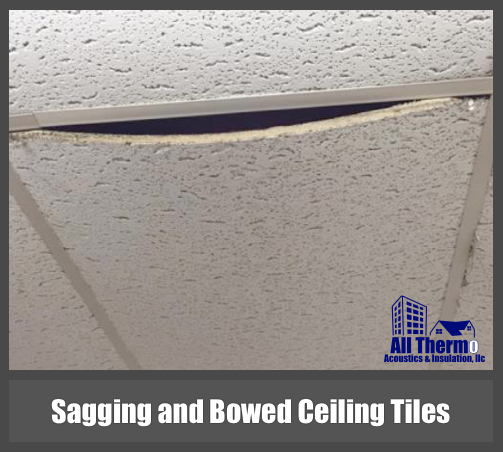 Sagging or bowed ceiling tiles are common among older drop ceiling tile systems. Sagging tends to occur 2’x4′ tiles but can happen in thinner 2’x2′ tiles over time. If the sagging goes unattended for too long it can become a hazard to the people underneath. 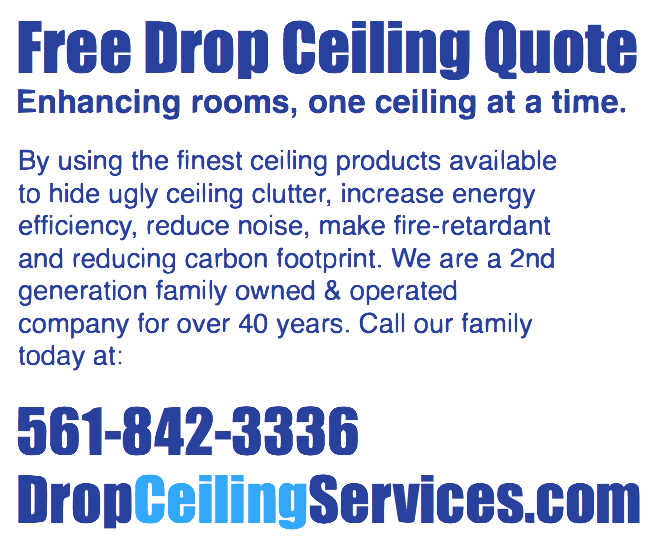 Make sure to contact your local Drop Ceiling experts for immediate solutions. 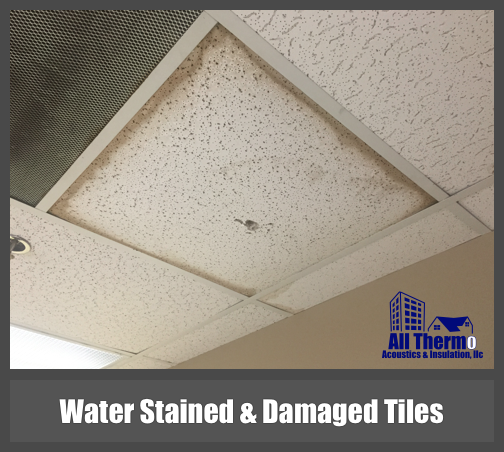 We can replace water stained ceiling tiles and damage ceiling panels with brand new drop ceilings. At All Thermo, we carry both sizes 2×2 and 2×4 ceiling panels in stock and a have an assortment of textures to choose from. Most water stains come from roof leaks but this one came from a flooded Air Conditioning handler right above the drop ceiling. 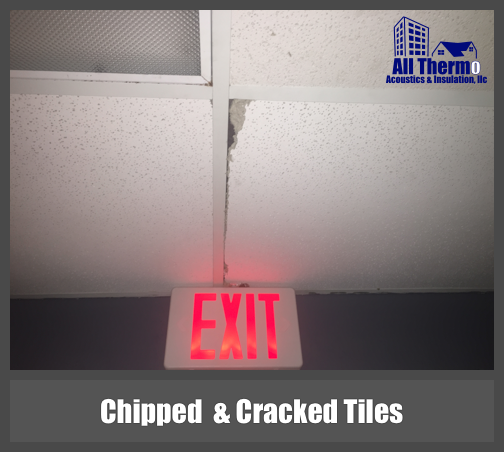 Chipped and cracked ceiling panels are a common site in offices and restaurants throughout South Florida. That’s where we come in, we perform the best Drop Ceiling Services in South Florida. Next time your at work or at a restaurant take a look up. 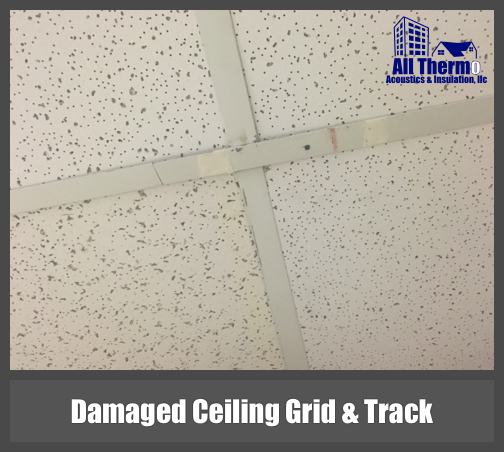 Damaged Ceiling Grind or also called “track” is what holds up the drop ceiling tiles or “panels”. We will replace these mismatch ceiling tiles with new panels or we can install a whole new ceiling system with new grid. 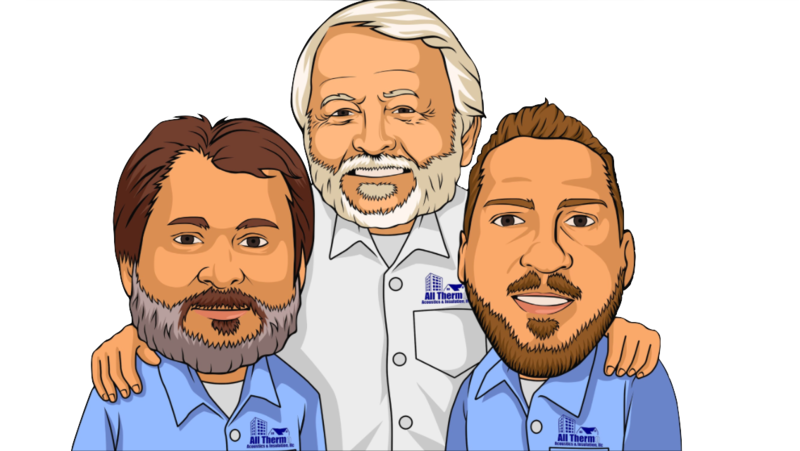 We are a family owned & operated, second generation company with over 40 years experience. Our drop ceilings are built to last. We use the best materials available from the world’s top manufacturers like USG and Armstrong. Click Here to see more Companies! Family Owned & Operated 40+ Years. Fastest customer service response time. Consistently rated high by customer reviews. Guarantee the highest quality of work. Best quality products and brands used. All service team members are professionally trained.